I do not know why I am drawn to Anaconda every time I drive I90 through Montana, but I stop every time I pass even though I swear I won’t do it anymore. The first time stop, in 2012, was one of convenience: I needed a bathroom, saw the blue “rest stop” sign, and found a lovely wayside rest with a newer facility building and paths graced with fresh interpretive signs. It is surrounded by an apparent natural restoration area. I saw the name of this place- Anaconda- and it took me a minute to fish around my road-relaxed brain to find the twitching neuron that stored the details. I thought maybe I was associating through vague consonance with “barracuda” before I remembered it is the name given to the world’s largest snake, the green anaconda, which can achieve 22 feet in length. And then the connection clicked in completely and I realized Anaconda, MT has no more similarity than massive size to the water-going South American snake. 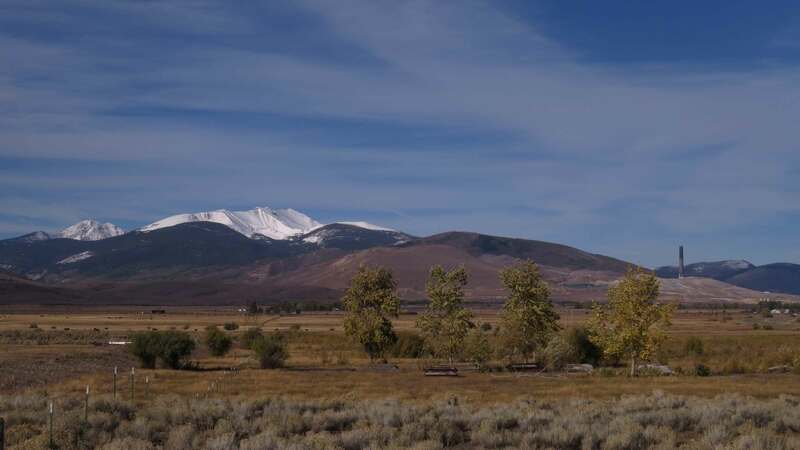 While the snake is non-venomous, the former copper mining operation poisoned 300 square miles of land and waterway from 1884-1980, when it finally ceased operations. It is now the nation’s largest federal Superfund cleanup site, with ARCO as the last owner left holding the bag as the “potentially responsible party”. A major effort involved removing contaminated soils from residential yards, places people call home, places people raise children and dream dreams. 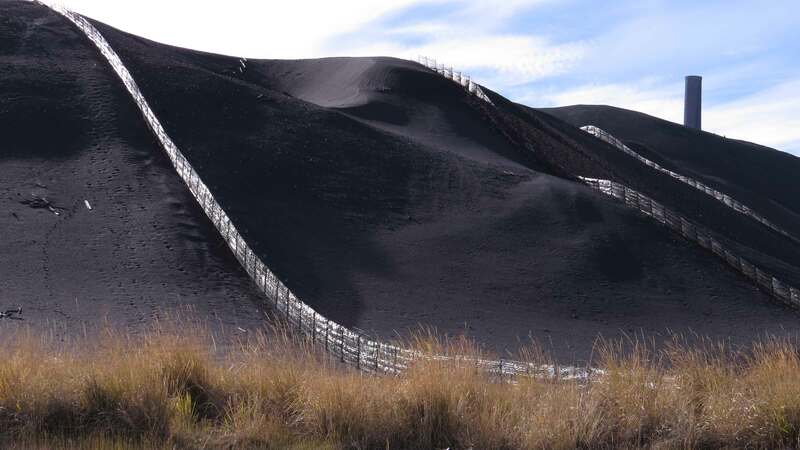 Today, if you drive the road to Anaconda, past the wayside rest and restoration area, you pass a huge mound of eerily lovely midnight black substance (perhaps ground black smelter slag that makes for such an interesting golf course). The mound is ribboned with fabric fence that shines silvery in the sun. From the animal and human tracks on the slopes, it does not appear the fence is intended as a barrier. 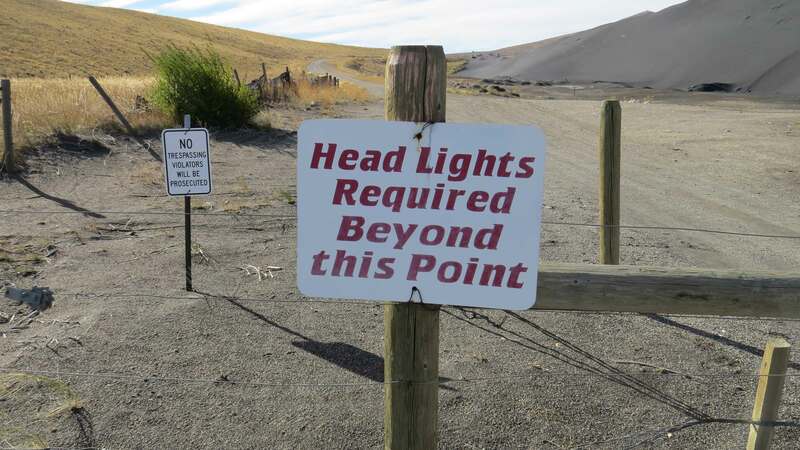 The entrance gate to this area has a sign that says, “Head Lights Required Beyond This Point”, implying that the black substance may not be staying put in the wind. For the town, it is like living with the historic legacy of a mass murderer in a family: you would always wonder as a relative if you carried the genes, the tendency to go to that darkness. Here, as a long time resident, you must wonder if you are carrying the seeds of disease and death from the contamination, or if your child’s condition indicates a multigenerational impact. I have never ventured further into the town of Anaconda but probably will someday when I can bear to see the desperately hopeful light shining on a terrible past that made rich people richer, including the Rothschilds and Rockefellers, while decimating the landscape and damaging the health of workers and their families. I do not rubberneck at car wrecks, either, but I know we need to see these places, to stare into the eyes of the snake, and to remember forever. Why should we remember? The answer lies in whether we really think the ugly head of the Anaconda mining serpent could not rise again. Not here where the earth is being entombed for hundreds of millions of dollars, of course, but with our hunger for fuel, electronics requiring metals from the earth, and development, mining is being proposed for other beautiful, pristine places like the “Sacred Headwaters” of three rivers in British Columbia (http://sacredheadwaters.com/). The mining operation there proposes creating a tailings pond in an existing lake below a mountain hosting a raft of wildlife including stone sheep and grizzly bears. The mountain would dismantled for this effort, sending the stone sheep to the polluted plains below. In 100 years, Canada will likely have mountains of dirt entombing yet another environmental disaster, dirt pushed around by crawling bulldozers tiny in comparison to the wasteland created in a once beautiful place where wilderness was king, not coal and copper. 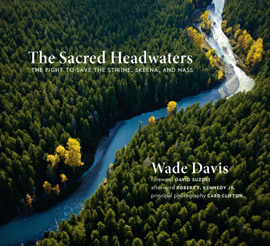 Anthropologist and author Wade Davis, with a team of stellar photographers, published this book in 2012 to reveal the stunning wilderness at risk. And unless we find a better way to live, or invest in research to find better ways to mine, Canada’s remote wilderness will not be the only place destroyed in the years to come.